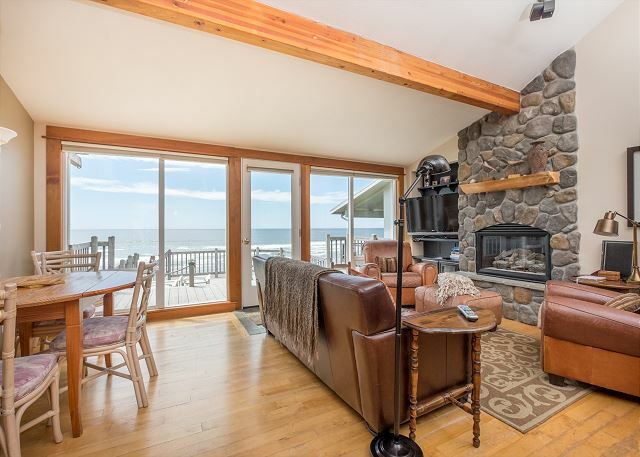 Every year, families of all sizes flock to the Oregon beach house rentals in Lincoln City to enjoy a few perfect days (or weeks) along this beautiful stretch of coastline. With such a gorgeous setting and wide array of beach rentals, Lincoln City, Oregon is an ideal setting for a family-friendly vacation. Whether your clan is large or small, though, you will need to do some planning before you set off from your rented beach house for a day at the beach. · toys such as noodles for the water, buckets and spades for building sandcastles, and whatever else will keep your kids entertained while you steal a moment to relax. A day at the beach can quickly turn ugly if you’re not careful. Therefore, it’s of the utmost importance to think about safety when you’ve got a family in tow along the Central Oregon Coast. Firstly, try chilling your sunscreen to help cool down hot bodies and reapply about every 30 minutes to avoid cancer-causing rays. Pack some loose clothes and baby wipes as well, so you can help cool down any potential victims of sunburn as the day goes by. To avoid unnecessary hassle, think about things like going to the bathroom, keeping everyone well-fed and hydrated throughout the day, how the adults are going to carry everything to the beach, and how you’re going to get everyone off the beach when the day is winding down. And, finally, be wary of the waves and try to choose a spot where you can see a lifeguard. You’re much more likely to have a full, happy and satisfied day along the Oregon Coast if you plan a few activities that everyone will enjoy. Exploring the local tide pools is a great idea, as you can teach your kids about respecting wildlife and show them magical creatures such as mollusks, snails and starfish that share the sea. Most importantly, let your kids be themselves as long as they aren’t putting themselves or anyone else in danger. A day on the beach should be fun for all! 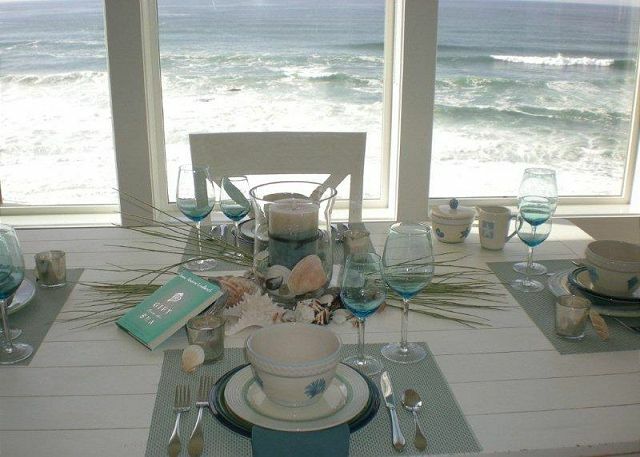 With the right beach vacation rentals, Oregonand its majestic coastline is the perfect setting for a family vacation. And with the right planning you can create wonderful memories for years to come. Once you’ve chosen the dates and booked your beach vacation rentals, Lincoln City and its 7½ miles of coastline will be yours to explore upon arrival. Whether you’re looking forward to a weekend of fun or planning to stay in one of our Lincoln City beach vacation rentals for a week or longer, there is sure to be some beach time in your itinerary. But what if your seaside excursion goes awry and ruins an otherwise idyllic holiday? Not to worry. The following tips will help ensure that you make the most of your time in this coastal paradise and enjoy a perfect day at the beach every time. If you plan ahead and learn a few helpful facts, you’re much more likely to keep yourself and those around you safe on the beach. Start off by learning about the local rip currents: how to identify them, how to avoid them and how to react if you or someone else is caught in them. Rip currents can often be identified by a break in the waves where you see foam, seaweed, a line of rubbish, choppy water, or different-colored water coming towards you. It’s best to swim where there’s a lifeguard, but if you get caught in a rip current and no one’s around, try to swim parallel to the seashore to avoid the current until you are safely closer to land. And, if you see someone else caught in one, call 911 immediately rather than trying to be a hero. Health and safety should always be a concern when staying in one of our beach condo rentals. Lincoln City, Oregonis a safe, fun and welcoming place – but the ocean and the rest of Mother Nature are not always so predictable. While this might sound like a lot of planning and worrying for a day on the beach, it only takes a few extra minutes to make sure you’re ready for every possibility. That way, you can sit back and relax once you get there. Plan Your Romantic Summer Getaway in Lincoln City, Oregon! 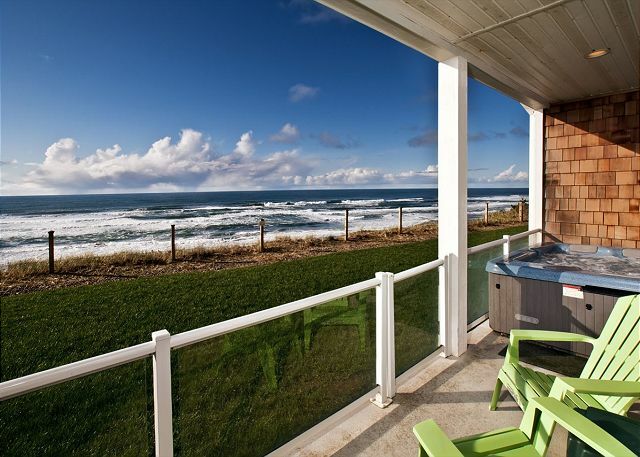 Lincoln City beach vacation rentals are all booked up for the upcoming 4th of July festivities, but the good news is that it’s not too late to plan an awesome romantic getaway on the Oregon Coast this summer. There are still several beautiful properties available for stays in July and August that are just perfect for couples. So, start planning now and rekindle that spark in one of the most beautiful stretches of sea and sand in the Pacific Northwest! Here are a few suggestions to help get you and your better half started on your seaside journey. After the big rush of activity for the Independence Day celebrations, it might be nice to get away to the Oregon Coast for a few days of fun on the beach once the crowds have thinned a bit. SOLVE Oregon hosts a beach cleanup on the 5th of July, which is a magnificent event to get involved in if you’re able. It also means you can count on the coast being in its natural state whenever you arrive, with more than seven miles of sand, sun, waves and cool breezes to explore. And with the easy ocean access from one of our beach vacation rentals, Lincoln City will be yours to discover for however many days and nights you decide to stay. If you’re the kind of couple that likes to play together, you might be interested in the Beach, Bacon and Brews event taking place at Lincoln City’s Chinook Winds Casino on Saturday, July 15th. The name says it all – locally brewed beers, sumptuous bacon-infused foods to pair them with, and a whole lot of beach to enjoy nearby. If you’re in town for the brews, though, you’ll need a place to stay the night. And if you’re with your special someone, you’ll love staying somewhere like The Anchor. 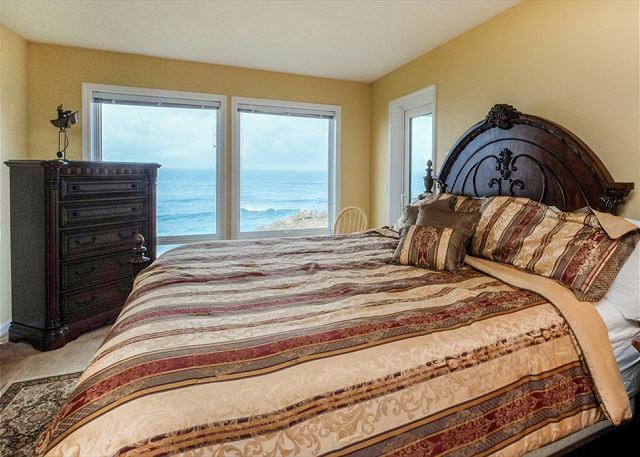 This is one of the best beach condo rentals Lincoln City, Oregon offers for couples. You’ll enjoy a private, glass-enclosed hot tub and an ocean-facing deck, as well as many other amenities such as a kitchenette and entertainment center to make you feel right at home during your fun-filled stay. Hot-tubbing is one activity that is always perfect for romantic summers on the Oregon Coast. If you’re planning a late-summer excursion this August, you might want to enjoy the hot tub at a vacation rental like The Nantucket. This quaint cottage was built in 1927 and more recently restored and refurbished, with new features such as the hot tub and various modern appliances, while keeping the charm of the old fireplace, French doors and observation deck. There are still some beach house rentals left in Lincoln City this summer, but time is certainly running out! You will need to act fast if you want to plan a romantic getaway along the Oregon Coast while the sun and fun are upon us this season. ed foods to pair them with, and a whole lot of beach to enjoy nearby. If you’re in town for the brews, though, you’ll need a place to stay the night. And if you’re with your special someone, you’ll love staying somewhere like The Anchor. 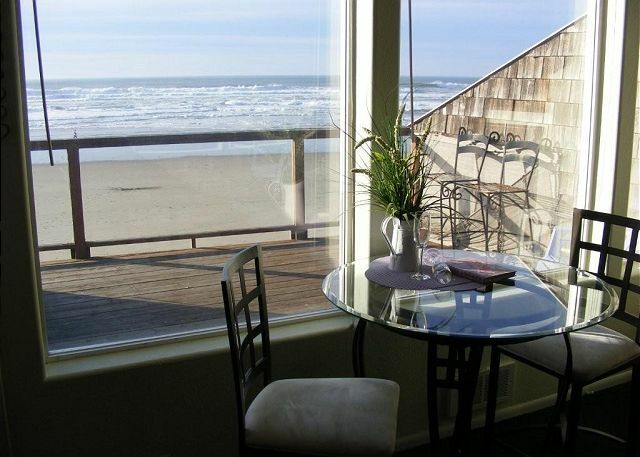 This is one of the best beach condo rentals Lincoln City, Oregon offers for couples. 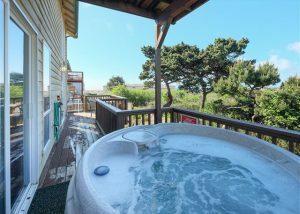 You’ll enjoy a private, glass-enclosed hot tub and an ocean-facing deck, as well as many other amenities such as a kitchenette and entertainment center to make you feel right at home during your fun-filled stay. Book any Weekend in June at Miracles, Nantucket, Seashells, orWhispering Waves Beach Vacation Rental and Get a Third Night Free! 1. Alderhouse Glass Blowers – Lincoln City is well-known for the glass-blown artwork that appears magically along the coast during the annual Finders Keepers season. Local artisans have perfected their craft and this is one of the best places to see it done and bring home your own piece of glass-blown art. 2. Chinook Winds Casino & Convention Center – The Chinook Winds is a superb destination for live entertainment, sumptuous dining and a wide range of gaming possibilities. 3. Connie Hansen Garden Conservancy – This garden and conservancy is a beautiful place to spend an afternoon and learn about some of the local plant-life from this coastal region. 4. D River State Recreation Site – Did you know that Lincoln City’s D River is officially known as the shortest river in the world? It’s also a wonderful place to visit if you’re looking for a family-friendly spot to spend a day outdoors. 5. Jennifer Sears Glass Art Studio – If you want to create your own blown-glass artwork while visiting Lincoln City, you can have your chance Wednesday through Sunday at Jennifer Sears Glass Art Studio. 6. Lincoln City Outlets – Is shopping more your thing? If so, you’ll be glad to know that Lincoln City boasts one of the best outlet malls in Oregon for your retail pleasure. 7. Mossy Creek Pottery – Blown glass isn’t the only kind of artwork on display in Lincoln City. This local gallery celebrates clay art with works from more than 40 Oregonian artists on display. 8. North Lincoln County Historical Museum – This museum’s mission is to “Preserve the History of North Lincoln County” and they do a fantastic job with a permanent collection of artifacts and displays that are regularly augmented with temporary exhibits. 9. Prehistoric – The whole family will enjoy a trip to Prehistoric for the opportunity to shop for and learn about fossils, meteorites and minerals. 10. Roads End State Recreation Site – This state park is the perfect location for a romantic walk with your significant other. Make sure to explore the headland’s hidden cove, the islands and the tidepools while you’re there. 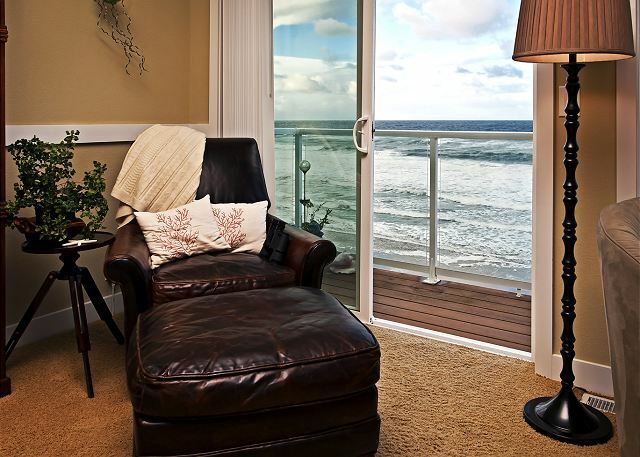 As soon as you book one of our beach rentals Lincoln City, Oregon will be yours to explore. These 10 attractions are merely scratching the surface of everything there is to see and do in this town, so book your stay today and get ready to see a whole other side of this quaint seaside town! Finders Keepers Closing Weekend. The annual Finders Keepers tradition draws to a close in Lincoln City on the weekend of May 27-29, so book a last-minute trip if you want your chance to find a handcrafted glass float on the beach and take it home with you! Crabbing and Clamming Clinics. A series of clinics with expert crabbers and clammers at Siletz Bay will run from June 2nd to September 26th. Siletz Bay Music Festival. You’ll be lucky to find yourself in Lincoln City between June 21st and July 4th, when the city will come alive with live music from acclaimed international artists and community outreach programs throughout the city. Summer Kite Festival. The annual Summer Kite Festival returns to D River Wayside in Lincoln City this June 24-25 from 10:00 a.m. to 4:00 p.m., so book your stay now and don’t forget to bring your kite! Pixiefest. This two-day event on June 24th and 25th is a fun way to appreciate Lincoln City’s history with the whole family. Event organizers recreate the old Pixieland and Pixie Kitchen with all sorts of entertainment, games, rides and food. Annual 4th of July Celebration. Don’t miss Lincoln City’s fabulous 4th of July celebration with a family-friendly parade, day of fun at Gleneden Beach and fireworks display over Siletz Bay. Beach, Bacon and Brews. If you love beer and bacon you won’t want to miss this brew-fest featuring meaty food served alongside craft beers from the Pacific Northwest’s best brewers with a backdrop of live music at Chinook Winds Casino Resort this July 15th. Taft Beach Sandcastle Contest. The Annual Taft Beach Sandcastle Contest returns to Lincoln City’s Historic Taft District on August 12th, which will be a day of fun for the whole family whether you participate or just enjoy watching the magic being made. Solar Eclipse. The Great American Eclipse will take place on August 21st, and Lincoln City’s coastline is the perfect place to watch the shadow of the eclipse travel across the sky as your summer comes to an end. Whether you stay with the whole family in a four-bedroom home or with your significant other in one of our beach condo rentals, Lincoln City, Oregon is the ideal destination for your summer vacation. Just don’t wait too long to book your stay, as accommodations will fill up fast as summer gets closer! There is no more perfect month than May to book one of our Oregon beach house rentalsfor a culturally rich vacation around Lincoln City. There’s always a reason to get away from it all, and this famous stretch of coast never ceases to offer a bounty of beauty, but May is particularly special. After booking one of our beach rentals Lincoln City,Oregon will be your playground to explore the cookery, comedy, crafts and culture of this deceptively quaint seaside town. The Lincoln City Culinary Center will be hosting plenty of demonstrations and hands-on lessons for curious cooks this May, so if you’ve got a hankering for some new kitchen skills then this is the ideal time to visit the Oregon Coast. You can learn how to make your own homemade pasta at the Italian Demo on Friday, May 5th from 6pm – 8pm, or learn how to make your favorite Indian classics from scratch on Saturday, May 13thfrom 11am – 2pm. And if you want a full Latin culinary experience that includes making Arepas (South American cheese-filled corncakes) with a meal and beverage afterwards, make sure to book your place for the Hands-On Latin on Saturday, May 20th from 11am-2pm. Demos and classes range from $40 to $75 and should be booked with the culinary center ahead of time. and Enjoy a Third Night Free! The Chinook Winds Casino Resort is one of Lincoln City’s major attractions where you can play tables and slots, enjoy a fine meal, meet with friends and family, conference with coworkers, or soak in some of the area’s best entertainment. It just so happens this May is one of the best months to visit the casino, as it becomes home to some of the country’s funniest comedians on Friday, May 5th and Saturday, May 6th for the annual Comedy on the Coast event. For only $15 you can enjoy the comedic stylings of Larry Omaha, Susan Jones, Benji Wright and more. Just be sure to book your tickets in advance! The Lincoln City Farmers and Crafters Market is one particularly good reason to book some of the best beach vacation rentals Oregon has to offer for a Lincoln City getaway in May. The market returns to the Lincoln City Cultural Center for the 2017 season on Sunday, May 7th from 9am to 3pm. After that, you can expect to find the farmers and crafters market at the cultural center most Sundays throughout the rest of the summer. The Lincoln City Cultural Center will also host “an evening of Indian culture” with the Jayanthi Raman Dance Company on Saturday, May 13thstarting at 6 pm. Peruse attractive goods and appealing services, enjoy Indian delicacies, sip on sumptuous wine and watch the skilled dancers, all while benefiting the St. James Santiago School with your ticket purchase. Admission is $25 for adults and $12 for children under 12. There are many more surprises waiting for you upon arrival in Lincoln City, Oregon. One thing is certain – this cultural hotspot is certainly not your average sleepy, seaside town! If you’ve been thinking about booking one of our Lincoln City beach vacation rentals and finding one of the famous glass floats hidden on the beach, May is your last month to do so before the summer’s done. Colorful works of blown glass art inspired by the old glass floats washed ashore from bygone Japanese fishing vessels are only “dropped” on the beach here between the end of October and Memorial Day. So, now is your chance to take part in the tradition, get a glass float of your own, and find a few more reasons to keep coming back. Keep reading to learn more. Glass Floats on the Beach, Finders Keepers, Special Glass Drops and Float Faeries have been part of an annual tradition along Lincoln City’s 7½ miles of coastline for nearly two decades. This year, the first “drop” of hand-blown glass floats took place on October 22nd and, as every year, the last drop will take place on Memorial Day. With each special drop, the volunteer “Float Faeries” set forth during daylight hours to place a series of official floats above the tidal line, all of which have been created and numbered by local artists. You can even have yours registered and receive a Certificate of Authenticity. 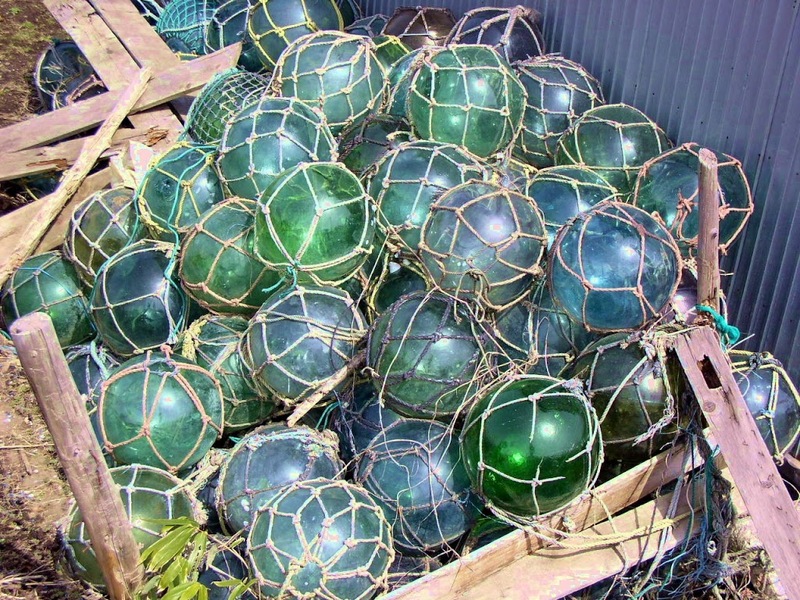 This year Lincoln City is hosting a “Special Glass Drop in Celebration of Mother’s Day” on Sunday, May 14th that will include 100 additional floats to be carefully placed in safe hiding spots along the beach between Siletz Bay and Roads End. 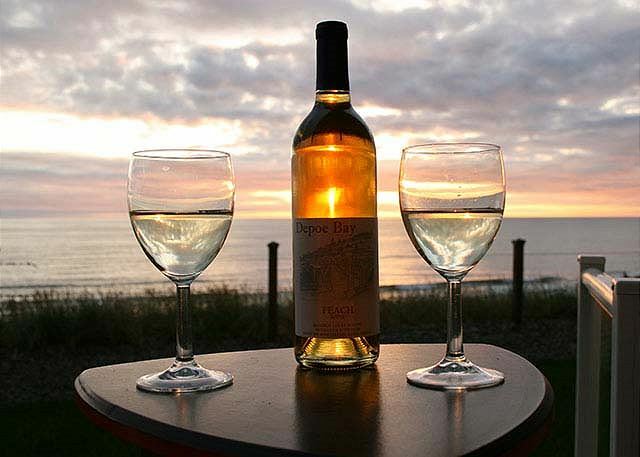 With a selection of luxurious beach vacation rentals Lincoln City really is an ideal setting to treat any mother, and while you’re here for the glass art you might as well enjoy a little extra fun! Whether you’re a mother yourself or celebrating the special mothers in your life, New Mexico Restaurant’s “Mother’s Day Painting Party” will be a treat to enjoy. Stop by the restaurant on Southeast Highway 101 from 4pm to 6pm to enjoy margaritas, munchies and your fill of painting fun for only $40. And don’t worry – complete amateurs are not only welcome but encouraged! The Closing Weekend of Finders Keepers will begin on Saturday, May 27thwith another 100 floats dropped and an extra-special, “jumbo” float making its way to the beach in a flurry of activity. Whoever finds the jumbo float will also win a weekend getaway package, so it’s worth your while to get out there early! The weekend will culminate on Monday, May 29th with events including the 72nd Annual Fleet of Flowers Memorial Day Ceremony starting at 11 am in Depoe Bay. Organizers of this Memorial Day event honor the lives of those lost at sea by sailing a fishing fleet adorned with flowers out to sea, followed by a reception. May is the last month where glass floats will be “dropped” on the beach for finders to keep until this colorful annual tradition begins again next October, and the end of the month is known as the unofficial start of summer. With accommodations ranging from massive family homes to beach condo rentals Lincoln City, Oregon is also a perfect place for travelers to stay. So why not book your holiday rental today? If you’re thinking of renting one of our Oregon beach house rentals to get away for a springtime holiday, there’s no time like the present to get the ball rolling. Spring is here and it’s time to embrace the fresh feeling in the great outdoors while this season lasts. You will need to book your rental home and plan your activities soon, though, before the rentals you desire are unavailable and the most enjoyable events have passed or sold out. Below you will find a sampling of some of the best events to look forward to as you plan your springtime travels to Lincoln City, Oregon this year. There are all sorts of events coming up at the Lincoln City Culinary Center this spring. If you’re a die-hard foodie looking to take your culinary game to the next level, 13book your beach home now and secure a spot at the 5-day French Cooking Intensive class. This hands-on course with Chef Sharon Wiest will take place from Tuesday, April 4th to Saturday, April 8th and will include breakfast and lunch every day for $400. Luckily, some of the best beach rentals Oregon has to offer are still available nearby so you can enjoy your French cooking adventure while staying comfortably and soaking in the local atmosphere. If you’re interested in a less intense cooking class, perhaps the 3-hour “2 Doughs, Many Uses” course from 1-4 p.m. on April 16th (Easter Sunday) is more your speed. For $50 Chef Sharon Wiest will show you many different recipes to make out of two simple doughs, and you will get to enjoy some of your cookery creations for a delicious treat. And if you plan to visit on Saturday the 6th of May, you may want to make time for the Fish Taco Cook-Off that takes place at the Culinary Center every year. You won’t need to book ahead or pay a thing for admission, but make sure to bring cash for samples of fish tacos so you can vote on your favorite and see who wins! Lincoln City is the perfect destination if you’re planning on spending some time with your kids during their Spring Break. You’ll find the city filled with youthful joy from Saturday, April 22nd to Sunday, April 30th when Community Days take place in Lincoln City with an Easter egg hunt, parade and ice cream social. The Easter Egg Hunt, which is hosted by the Kiwanis Club, will take place at the Regatta Grounds Park on Sunday, April 23rd. While the Pacific Northwest boasts plenty of beach vacation rentals Lincoln City, Oregon is possibly the best place to stay by the sea this time of year. Book your stay now and get ready for one of the two upcoming special glass drops along the city’s 7½ miles of pristine coastline. Two thousand and seventeen glass floats and other pieces of unique glass art will be “dropped” in hiding places along the beach between October and May this year, but you’re most likely to find them if you come at the right time. There will be 15 earth floats dropped in celebration of Earth Day on April 22nd and 23rd, and 100 pieces of glass art will be dropped in celebration of Mother’s Day on May 13th and 14th. You might find your own local treasure anywhere between Siletz Bay and the Roads End area. There’s plenty to do, but the best accommodations will book up fast. So contact us today if you’re thinking of getting away to the Oregon Coast for some seaside fun this spring! The Whispering Waves is one of the most popular Lincoln City beach vacation rentals for groups of up to four, and right now you and your friends or family can rent this picturesque condo for the weekend and get a third night free. 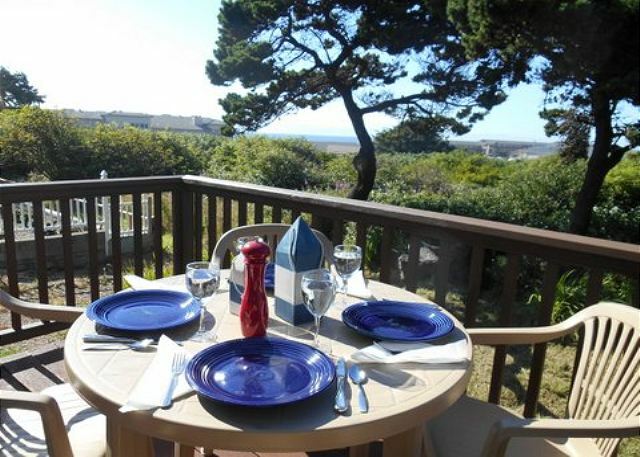 The rental is located directly in the downtown area of Lincoln City and still offers panoramic views of the ocean. This makes the Whispering Waves Condo an ideal spot for those looking to enjoy the seaside as well as the restaurants and shopping. If you want to hit the beach or just get away from it all, this is the perfect home-base to anchor your weekend at the sea. and get a 3rd Night Free! As one of the most modern beach condo rentals Lincoln City visitors will find in town, the Whispering Waves offers several attractive amenities that help make it popular with small groups. The building boasts a workout facility and swimming pool, for starters, and the beach is also only one block away. If you and your crew decide to stay in and relax, you’ll also be treated to a rock fireplace in the living room, an expansive oceanfront deck, a private hot tub, free Wi-Fi, and three plasma-screen televisions with cable channels and CD/DVD players. Four people sleep comfortably in the 1,100-square-foot condo’s two bedrooms featuring one king and one queen bed with fresh linens, while two bathrooms provide plenty of space to get ready in the morning and the one-car garage keeps provides a safe place to park. You’ll also be pleased to find comforts of home such as a fully-equipped kitchen with stainless steel appliances and spice rack, a dining table, granite countertops throughout, and a washer/dryer. Another reason why the Whispering Waves is one of the most popular beach vacation rentals Lincoln City has to offer is the convenient location with so many things to do in walking distance. Once you park the car for the weekend you can forget about driving, if you’d like, and walk to some of Lincoln City’s most popular destinations every day and night. You can walk to the nearby family-friendly beach for beachcombing, boogie-boarding, boating, whale-watching, fishing, sunset viewing and much more. Plenty of restaurants and craft shops are also nearby, and if you feel like taking the car out you can easily get to the nearby casino, golf course, kids play centers, theatre, outlet shops, museums and cultural centers. There are also conveniences such as a grocery store, ATM and post office in the vicinity. If you want to get a third night free during one of the remaining weekends in March at the Whispering Waves Condo, you must act fast and get in touch with A-1 Beach Rentals today. You won’t regret it when you find everything that this popular little Lincoln City condo has to offer. There’s never a bad time of year to book one of our Oregon beach rentals and enjoy the local area’s natural and man-made wonders, but with winter ending it’s not a bad idea to start planning now if you’re thinking of spending spring break in Lincoln City. Luckily there are still plenty of places to stay and lots to do. If you leave things to the last minute, though, you might find that the finest accommodations are booked up and tickets to all the fun events are sold out. A-1 Beach Rentals can help with the best Lincoln City beach house rentals, and following are a few activities you might want to work into your spring vacation schedule. Purchase your tickets now for a festive dinner and celebration this Thursday, March 16th& Friday, March 17th at the Lincoln City Cultural Center. A traditional meal of corned beef and cabbage will be served at 6 p.m., and music by Pipedance with dancing by Salem’s Claddagh Dancers and Lincoln City’s Irish Dance Group will commence after 6:45 p.m. Call (541) 994-9994 to book your tickets in advance; it’s $16 for just the show and $30 with dinner. Martin Cheek – the internationally acclaimed author, teacher and Master Mosaic Artist – will lead a 2-day Mosaic Workshop at the Artists’ Studio Association classroom from 10 a.m. to 4 p.m. on Saturday, March 18th & Sunday, March 19th. Students will learn how to use fused glass in a mosaic project, and should already have basic knowledge of mosaic art. The cost is $350 plus $50 for materials. Visit the Artists’ Studio Assoc. website for more information. If you’re familiar with Lincoln City, you’ve probably heard about or discovered one of the artisanal glass floats that are “dropped” along the city’s 7½ miles of coastline every year between October and May for beachcombers to discover. A special batch of 300 glass floats and other pieces of glass art will be hidden between Siletz Bay and Roads End from Saturday, March 25th to Sunday, April 2nd for Spring Break, so be sure to find yours! If you’re interested in family-friendly fun, book one of our Lincoln City house rentals between Sunday, March 26th & Tuesday, April 4th for the Festival of Illusions at Lincoln City Cultural Center. There will be magic-themed kids’ day camps, and all sorts of special performances in the evenings that the entire family will enjoy. Visit the Lincoln City Cultural Center website to learn more about this magic-filled festival. This is just a sampling of the fun events that will be taking place in Lincoln City this spring break. There is plenty more to see and do, and if you prefer there is always the beach and other natural treasures to explore on your own away from the crowds. It’s even perfectly acceptable to enjoy ocean views from your rental’s hot tub and prepare meals in its gourmet kitchen so you don’t even need to step outside except to put your toes in the sand. Just make sure to book in advance before all the spring break beach rentals are gone!